Tara V Shanbhag is presently Professor and Head, Department of Pharmacology, Srinivas Institute of Medical Sciences and Research Centre, Mukka, Mangalore, India. She has extensive experience in teaching pharmacology to undergraduate students of medical, dental, nursing and allied health sciences. She is an honourable recipient of the ‘Good Teacher’ award. 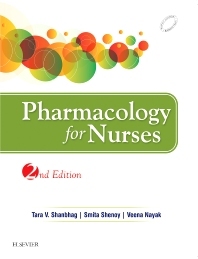 She has also authored books on Pharmacology for Dentistry and Pharmacology for Nurses. She has to her credit several articles in various national and international journals. She has been an examiner to various colleges and universities.